Track and field doesn’t typically come to mind when one thinks of Wisconsin winter sports. Most students would associate the winter months with University of Wisconsin’s more noteworthy programs like football or men’s and women’s basketball and ice hockey. But with the exception of UW’s women’s hockey team, which captured its fifth NCAA Division I Women’s Ice Hockey Championship this past weekend, students may feel it’s been a season devoid of athletic success from UW’s marquee programs. 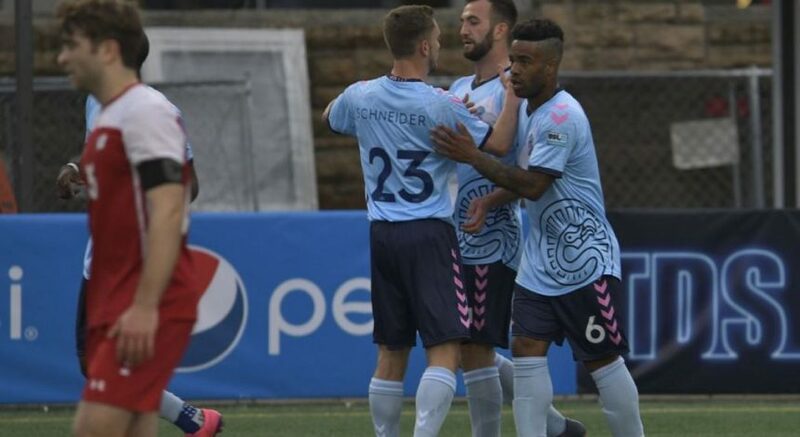 A disappointing end to the football team’s season was recently followed up by a lackluster performance and early exit from the men’s basketball team in the NCAA Tournament. Take a glance at UW’s men’s and women’s track and field teams, however, and the outlook improves. Both of Wisconsin’s track and field teams enter the spring outdoor season filled with momentum after remarkable individual performances during the winter indoor season — particularly from the team’s long distance runners. On the men’s side, UW’s Australian imports Morgan McDonald and Oliver Hoare both enjoyed sensational indoor campaigns this winter, leading the Badgers to a fourth place finish at the NCAA Indoor Championships. Just three months after clinching the NCAA Cross Country title in Madison, McDonald — a six-time All-American who was also named Big Ten Men’s Track Athlete of the Year — won both the 3000 and 5000 meters at the 2019 NCAA Indoor Championships in Birmingham, Alabama, to become the first Badger to win both events at the indoor championships. McDonald also holds the school and Big Ten record in the indoor 3000 meter with a time of 7 minutes, 42.76 seconds. “This opportunity has been given to me, and to be able to add to Wisconsin’s legacy for myself, for the team, the alumni and especially the future Badgers, it makes me so happy and I just want to keep adding to it,” McDonald said of his tremendous achievement earlier in March. With two national titles already in 2018-19, it’s safe to say the Sydney native looks poised to follow up his incredible indoor season with a successful outdoor campaign. Hoare has also enjoyed a successful career at UW and will look to add to his impressive resume this spring. A five-time All-American and 2018 NCAA Outdoor 1500 meter champion, Hoare took the bronze medal in the mile race from Birmingham after setting both the Big Ten and Wisconsin school record in the event earlier this season with a sensational time of 3:54.83. The junior’s stellar performances this season earned him a U.S. Track and Field and Cross Country Coaches’ Association Regional Athletes of the Year award for the Great Lakes Region. The two Aussie distance runners don’t stand alone atop the Wisconsin track and field pedestal. Alicia Monson, a Wisconsin native and newly crowned NCAA Indoor 5000 meter champion, has enjoyed a breakout season and has already cemented her name in the Wisconsin record books. She became the first UW female athlete to win a national track title since Kathy Butler won the 3000 meters at the 1997 Outdoor Championships. Her time of 15:31.26 is the second fastest in school history and the ninth fastest in NCAA Indoor Championship meet history. She placed tenth in the indoor 3000 meters at the NCAAs after winning the event at the Big Ten Championships in February and setting both a school and Big Ten record in the event at the Millrose Games Feb. 9 with a time of 8:45.97. Monson was also named Big Ten Track Athlete of the Year and USTFCCCA Regional Athlete of the Year for the Great Lakes Region. These tremendous individual performances during the indoor season have put both Badger teams in contention for the USTFCCCA Program of the Year Award, which is determined based on team finishes at the NCAA cross country, indoor track and outdoor track championships. Each finishing position is worth one point, with a first-place finish valued at one point, a runner-up finish two points and so on. The Wisconsin men’s track and field team is currently the No. 2 team in the in-progress rankings to win the John McDonnell Program of the Year Award among NCAA men’s teams. 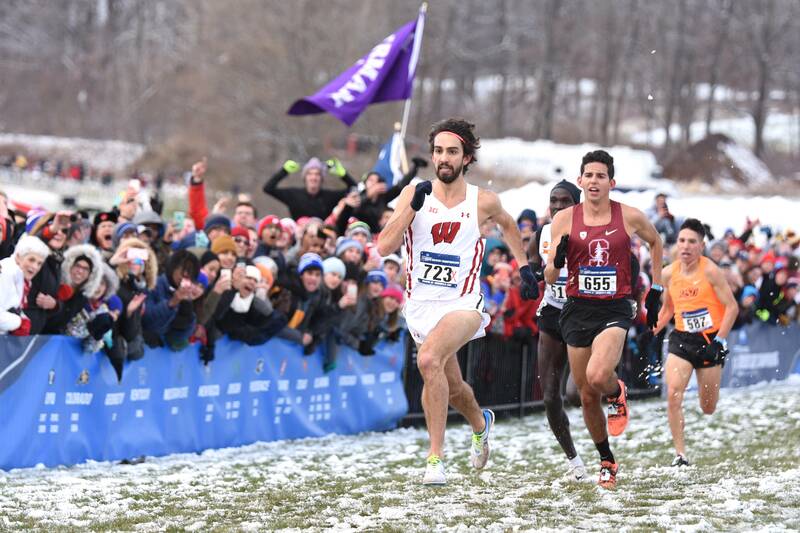 The Wisconsin men finished eighth overall in the team standings at the NCAA Cross Country Championships back in November and took fourth at the NCAA Indoor Track and Field Championships. The Wisconsin women also appear on the Terry Crawford Program of the Year Award, which recognizes the top-performing women’s team based on the same criteria. The Wisconsin women are currently at No. 8 in the in-progress standings after placing 10th overall in the team standings at the NCAA Cross Country Championships and 21st at the NCAA Indoor Championships in Birmingham. Wisconsin is the only Big Ten school that features both their men’s and women’s teams currently sitting in the top-eight of the USTFCCCA Program of the Year Award rankings. As both teams competed at the Aztec Individual in San Diego over the weekend to begin the outdoor season, prospects are looking strong for Wisconsin’s track and field teams. 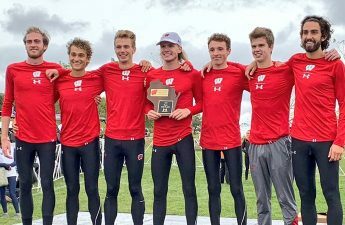 A fresh start, coupled with a bloc of confident, experienced distance runners presents a promising transition for Badger fans hoping to escape the cold winters produced by our men’s basketball and football teams. Track and field may just be a winner.